Before I begin, I would like to thank MaTT, a new friend from the Russian servers. He has helped me immensely in the writing of this article, and has helped me in articles yet to come. Спасибо MaTT! 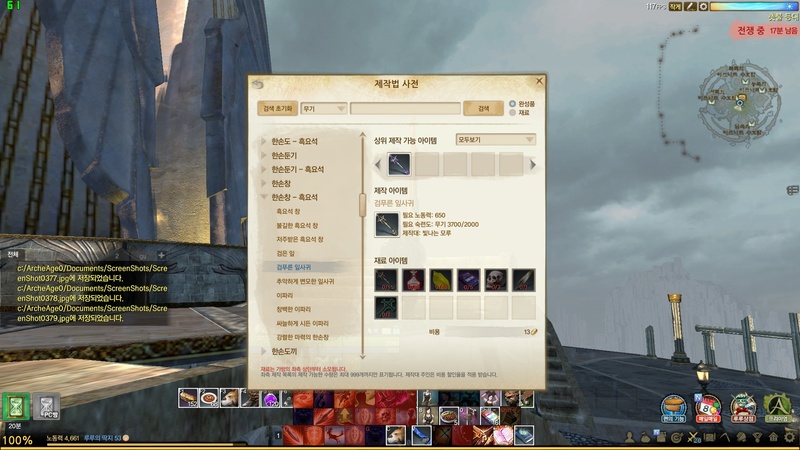 Before you begin to read, please keep in mind that this is all taken from the Korean version of the game, and that it is not guaranteed to be implemented in this exact state into our version. 2.1 What if I have wisps left over? With 3.5 and the release of Erenor, XL has overhauled the crafting in order to make progression faster for players, as well as to “decrease” the amount of RNG in crafting. I say decrease with quotation marks because they took out crafting rolls, but substituted those for plain regrading. Anyhow, let’s get into the specifics. 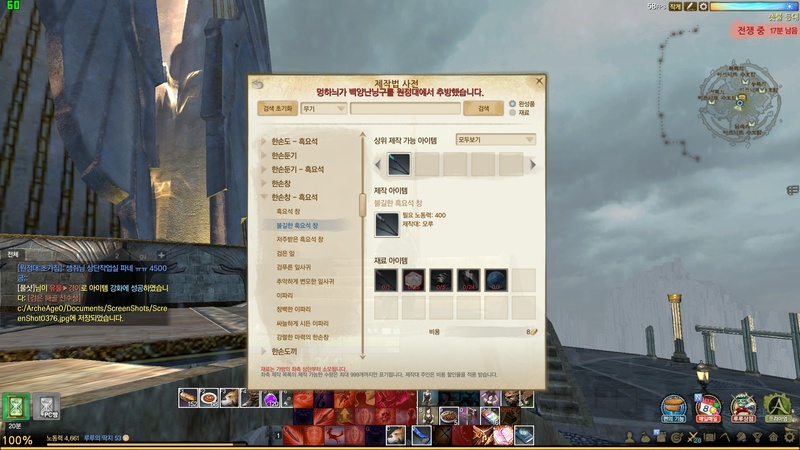 With the new process, one will be able to select his rolls upon crafting the item. So, for example, you will be able to select Flame or Gale on a Shortspear when unsealing it. But, instead of the old process of upgradeable rolls, such as Winter on Shortspears, you will now have to regrade weapons to a certain grade in order to upgrade them to the next tier. Also, as mentioned in my article about Erenor gear, you can now reseal items. So let’s say that you have an Ayanad Life Katana. Lucky for you, after all this time, you can get whichever roll you wanted. This has been made to adjust to the new crafting process, which requires regraded, sealed items. The item used to seal items will require 4 Sturdy Ingots and 20 Earthmana Leaves. It will be tradeable, so you will be able to sell it on the Auction House. 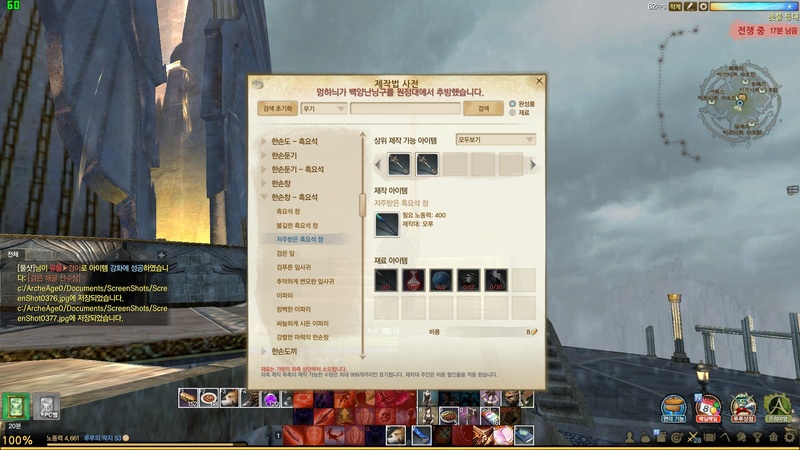 You will be able to reseal Illustrious, Magnificent, Epherium, Delphinad, and Ayanad items with this method. Please note that you will lose any lunagems or lunafrosts that you have on the piece of equipment you are resealing, as well as any percentage changes to the stats. That being said, the piece of equipment will keep its grade. So if you are going for an Epic Ayanad Stone set, just buy up a bunch of non-desirable Epic Ayanad pieces, and wait until this patch comes out. Because the game has progressed to a certain stage where players no longer need most of the crafting tiers, XL has decided to shorten the crafting process. This is also due to the new system, which would be way too expensive had the old system been still in place when the new system was introduced. XL has shortened the number of tiers in crafting from 10 to 7, removing the tiers of Craftman’s, Artian’s, and Conqueror’s. Below, you will find recipes for both Regular Crafted items, such as Delphinad and Ayanad, as well as for Obsidian items. 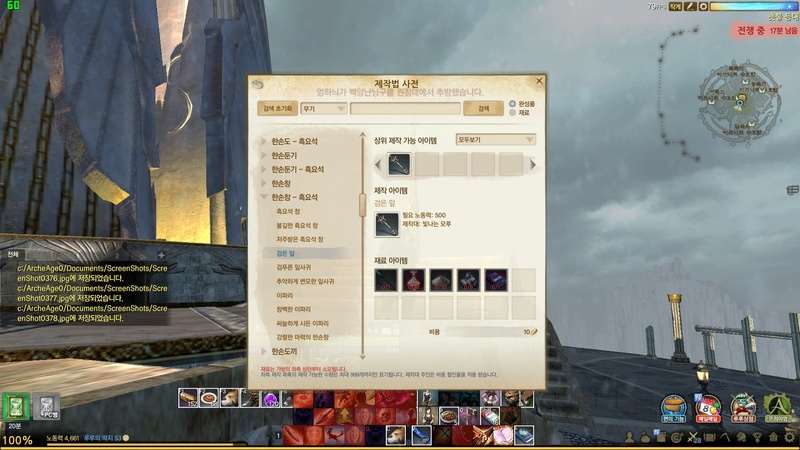 Additionally, labor needed to craft an Illustrious item has been decreased from 1,400 labor to 600 labor, and the labor needed to craft an Ayanad item has been increased from 800 labor to 1,250 labor. Edit: A lot of people have been asking me about Ayanad, and how you upgrade to Ayanad and to Erenor. You need a Celestial Delphinad to upgrade to Ayanad and a Divine Ayanad to upgrade to Erenor. 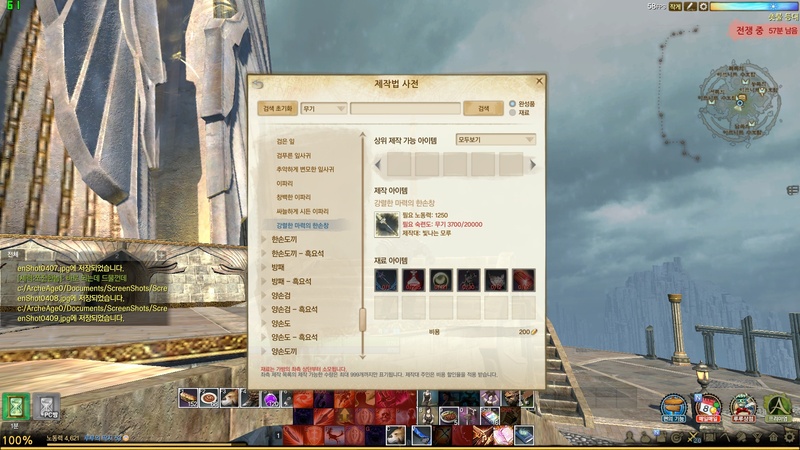 In this section, you will find the new recipes for crafted items, such as Delphinad or Ayanad equipment. I will not be putting recipes for every single weapon (Too much work). These will be general recipes, and will hold true for all alike recipes. One thing I will say is that Archeum trees drop 30% more Archeum in 3.5, but that does not make up for the incredible increase in Archeum needed for crafting in 3.5. Please note that I will be only mentioning the archeum needed to craft each weapon, as well as any other changes. If the mats did not change, then I will simply not mention them. Armor will be added in on a later date, when I get the exact recipes. If you want to see Armor recipes, just go to this link. Due to Wisps getting removed, Cloaks have also gotten their recipes reworked. Again, I am only listing the things that changed. All wisps have gotten removed from recipes. Also, Erenor Cloaks have been released. Find out more about them in this article. Items that had wisps as part of their crafting recipes, such as Rank 11 and above Halcyona Warrior Necklaces, have also had their recipes changed. Below are some examples of such recipes. Wisps have been a major part of crafting since their inception. In fact, over time, they replaced the original way of crafting weapons as the preferred way. With the new system of regrading within crafting, XL felt that wisps could not continue to exist. As such, they have removed wisps from the game entirely. That being said, if you still have some wisps left over, you will still be able to make use of them. All Sunlight Reforges, Moonlight Reforges, and Starlight Reforges are no longer crafteable. You can either keep them in your house as a nice decoration to remind you of the past times, or break them down into the Thunderstruck trees that went into crafting them. You can also sell them to a vendor for 1 copper. What if I have wisps left over? Not to worry. There will be a reforge in Mirage Isle where you will be able to craft items with any wisps you were unable to liquidate before the patch hit. A bonus to this is that there will be no proficiency needed to reforge these weapons. They will all be sealed, but that is fine due to the new crafting system. Below are the recipes that are found in the special reforge in Mirage Isle. Please note that all Ayanad recipes require the needed Ayanad scroll. Also, the wisps still match to the categories, so for One-Handed Metal weapons, you will need One-Hander Metal Mana Wisps, for Shields you will need Wooden Mana Wisps, and so forth. Below are the labor costs for crafting these items in Mirage Isle. Some of the items used in crafting, such as oils, are being changed in the way that they are being made. This is because of the new trading system. Below are the recipes of the items that are being changed. Please note that this is the crafting recipe for crafting one of the oils. As many may know, thousands of wisps were required to create a player nation. Due to wisps being removed, the wisps that were needed to found a player nation have now been changed to simply Archeum Essence. You will require 2000 Sunlight Archeum Essence, 2000 Moonlight Archeum Essence, and 2000 Starlight Archeum Essence. That concludes this article. 4,000 words… Not too bad! I apologize for not putting this article out earlier, but this did take some extensive digging, and was perhaps the hardest article that I’ve worked on so far. Another article is coming this Friday. It’ll be about some changes to gear in 3.5. If you have any questions, please feel free to ask them in the comments section. I’ll be sure to answer them as soon as I can. Just want to confirm that Erenor gear still only takes divine grade Ayanad grade and epic + is dead ended? so the change in making Ayanad cloak is now 500 medals instead of 800? Indeed. 500 medals instead of 800. You might be able to take an epic, but either way, you will not receive any bonus when you craft with an Epic vs. crafting with a Divine. I’m just trying to figure out if the recipe will allow epic+ grade Ayanads. Fanta previously mentioned that it was divine only and epic+ is dead end. It could mean the difference between trying to proc a legendary with a resplendent or not. Like I said, you can probably craft an Erenor item with an epic Ayanad, BUT, that makes no difference to the XP values, as you will receive a Basic Erenor item with 0 XP at Basic. So, it sort of is a dead end. Again, there is no bonus from crafting with an Epic Ayanad vs crafting with a Divine Ayanad (If you can craft with an Epic Ayanad, which I am not sure about). What do you get when you evenstone gear, in lieu of wisps? More archeum? Does obsidian grade drop down to grand grade aswell just like crafted? Like a t4 obsidian grade divine weapon upgraded to t5 = t5 grand grade? No, it keeps the grade. You need a Celestial Delphinad to craft to Ayanad, and a Divine Ayanad to craft to Erenor. What I said remains the same. You just misread. Does it give more archeum when you evenstone a weapon? and., does it require archeum to reforge weapons now since the wisps will be removed? Can you post a article about it please? Yes, you get more archeum when evenstoning or when breaking a weapon. Reforging no longer exists, so there is no reason for me to post an article about it. They simply removed reforging from the game. You can only craft with this process now. can instead write an article about the amount of archeums you get from evenstoning? No, I’m not going to write an article on such a tiny subject. Sorry. Does upgrading obsidian still using the old materials like stuff from library or rare loot from world boss plus that listed amount of essence? Or only essence? Yes, it does still use most of the old mats. Just essence instead of wisps. lol way too much archeum is needed. I have to go through my whole supply that ive stocked up ither the months just to make 1 ayanad/delph. Any word on whether archeum essence trees become more common? No, but Archeum Trees do drop 30% more Archeum overall in 3.5.
i want to know if the item that seals an ayanad, u can seal a delphinad item too? Yes. You can seal any crafted item with the Sealing item. It’s not upgradable, and neither will it be. Hello,i checked archeagedatabase kr version. It shows small seed oil’s crafting mats as corn + rice. Are you sure about they will change the rice with wheat? Yes, I am sure about that. If we have T6 weapon and upgrade it from T6 to T7 all we need is 235 Sunlight Archeum Essence? or what we need with the essences ? can you tell me thank you very much! Hey Mark, u have done a great work with this articles. Thank you. 🙂 I got one question. If you would buy an ayanad piece at e.g. divine before 3.5 hits us. Are you able to seal it with 3.5? Will it keeps the grade and are you able to unseal it again to swap it for another kind(eg typhoon to fire)? Do the changes to the oils also reflect on pigments and polish? Or is it like that for oils, because of some silly reason? so… is not work upgrade machinig profi ? If i get a divine delphinad, can i make it seal and upgrade it to ayanad as divine directly ? Of it will be celestial ayanad ? Hi. You cannot craft with a Divine Delphinad. Even if you were able to, you would get the default Grand Ayanad, or it can proc up to Arcane. But an item can never go up to Divine on craft. You said the rate of Archeum will be upping 30% in 3.5. Any clue if this will apply to the points received from regrade Brazzers? They won’t be affected by the update. Mark, thanks for all of this great information! You can reroll an item at any grade. First, thanks alot for your awesome work, keep it up its really helpfull! And then, do you know if we will get some kind of a compensation for the labor invested in reforging as it desapears? Also, quite of a weird question i guess, but : What do you think of those crafting changes overall? Will ayanads require a different scroll with the update, or the current scrolls which require ayanad scroll scraps and book of auroria? What are the changes in regards to upgraded Manors, specifically the armorer’s manor. Will the recipes be different.. will there be a different benefit? Since the previous benefit was Glowing. Yep, they’ll be different. Recipes from the Armorer’s house will feature recipes that have a whopping 1 less Archeum Essence needed for their recipes. If I have an Epherium Gale Bow unique, will I be able to upgrade it to Delphinad in the next patch? Thanks. I having some divine tier 1 obs wep. Do they still keep divine grade when i upgrade them in 3.5? Or they will just back to grand like delphinad upgrade?